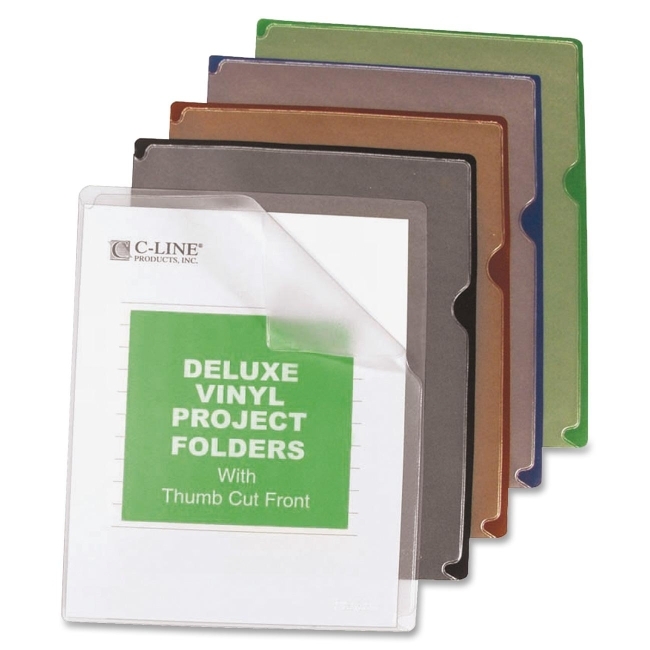 Deluxe vinyl folders with colored backs provide the ultimate in organization. Categorize and organize your work by color. Use them to organize your week or keep materials for a specific meeting in one place. Super heavyweight folders with an embossed finish are sealed on two sides with a thumb-cut front for easy access. Assortment includes seven each in black, red, green, blue and clear.